I can plan tours of any size and scope of interest. Whether it is as simple as, “I have 10 days to spend, what are the most exciting things I can see,” or something as specific as, “My university needs to plan a Byzantine artifacts tour,” I can accommodate your needs. I can prepare comprehensive travel packages, including hotels, flights, ground and sea transportation and restaurant reservations. Below are two sample itineraries I recently prepared for clients. Spend the day exploring Istanbul. In the morning visit the world – renowned Hagia Sophia (St. Sophia), the Blue Mosque, and the underground Byzantine Cistern known as the “Sunken Palace”. 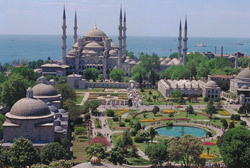 After lunch visit the Topkapi Palace, the residence of Ottaman Sultans for almost 400 years. Visit the Church of St. Saviour, whose mosaics rival those in Ravenna, Italy and the Mosque of Suleyman the Magnificent. After lunch, cruise along the Bosphorus, the winding strait that seperates Europe and Asia. 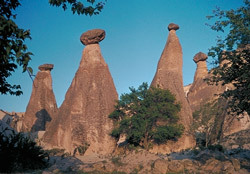 Fly to Cappadocia, known for bizarre landscapes and underground cities carved from the region’s soft volcanic rock. You can visit the ancient monastic site of Goreme, a valley with hundreds of hidden churches built between 5th and 12th centuries. Visit Uchisar, a small town whose citadel commands breathtaking view of the Goreme valley. Visit the underground city of Kaymakli. 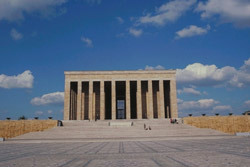 Today, visit Pergamon, center of artistic and scientific study during the 3rd and 2nd centuries BC. Spend time in the ruins of the Asclepion, a medical center dedicated to the God of Medicine, the Red Court and Acropolis. Then drive back to Izmir. Drive to Ephesus. 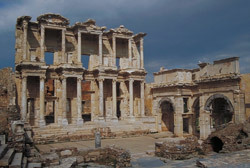 Highlights include the Arcadian Way, the Library of Celsus, the vast Agora and the Ephesus Museum. In the afternoon drive to Bodrum. 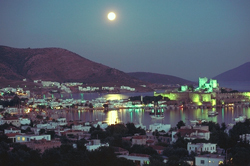 Visit The St. Peter’s Castle which houses The Underwater Archeology Museum (artifacts from shipwrecks). Spend time in the ancient theater dating from 4th century BC and visit the Mausoleum of Halicarnassus which was one of the Seven Wonders of Ancient World. 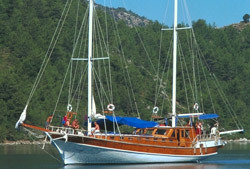 Cruise all day long by a gulet (wooden boats built in Bodrum area). Sailing to Ekincik Bay. Lunch on board or in Dalyan (town). Small boat trip to Dalyan River, Dalyan (town) and ancient town Kaunos. Dinner on board. Starting for Ölüdeniz before breakfast. Breakfast and lunch in Ölüdeniz, dropping anchor for Gemiler Island in the afternoon. (We could have a walk to the top of the Gemiler Island to visit ruins and Roman Castle. (Very nice view when the sun sets). Dinner on board. Idle time in the morning. (we could organize optional scuba-diving session around the coast ). Lunch on board. Sailing race could be organized between our yachts in the afternoon in Fethiye Bay. (without engines just on sails) Night in Fethiye. Dinner in a restaurant. Starting for Göcek Bay. Visiting Yassica Island, Domuz Adasi, Siralibük and if you like we could arrange another BBQ Party in Bedri Rahmi Bay.